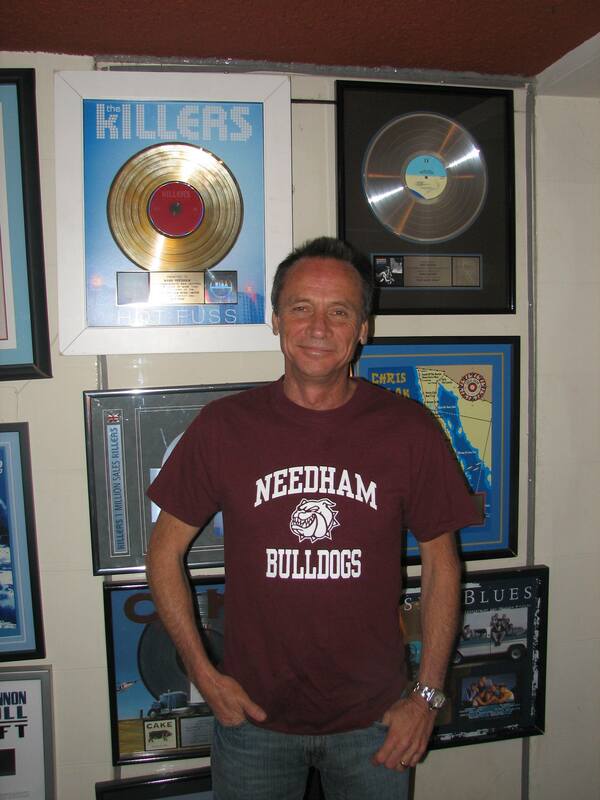 Mark Needham is an engineer, producer and mixer currently working from his studio “The Ballroom” located in Griffith Park, Hollywood, CA. Being a mostly self taught engineer, Mark sharpened his skills through practice and trial and error, which led to working with some of the top artists in the industry including: Fleetwood Mac, The Killers, Imagine Dragons, Chris Isaak, John Hiatt, Michelle Branch, P!nk, O.A.R., Neon Trees, Shakira, Pete Yorn, Bloc Party, Elton John, Stevie Nicks and others. Mark has been nominated for ten Grammy Awards, contributing his skills on certified RIAA Platinum and Gold records, as well as being featured on the Billboard charts countless times. 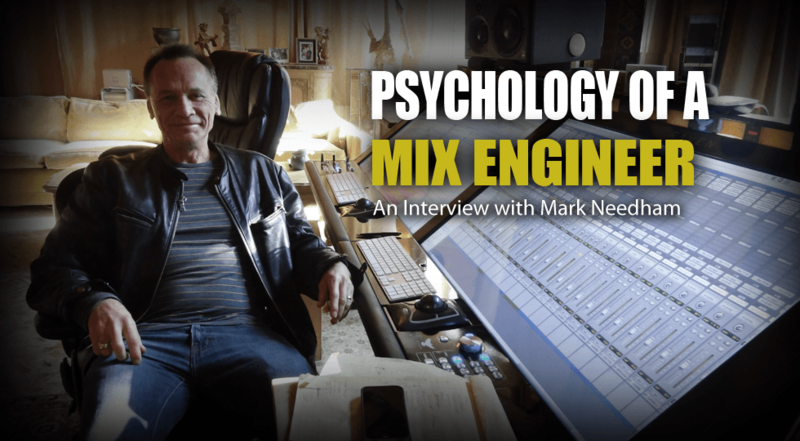 Despite the industry changes and the constant evolution of music, Mark continues to stay very busy as one of the most sought after mix engineers. A lot of that can be an attributed to his willingness to change and try new things, his strong work ethic, as well as working on development projects, where he can choose the sound he wants to be part of. So how did you end up becoming an audio engineer? I started as a guitar player and a drummer. When I was 16 (I graduated high school early) I moved to San Francisco and started a rock music school with some friends. From there, I started a small two-track studio with a four input tube mixer that I set up; I was always into the technical side of things. My studio kept growing, I ended up playing less music and I found myself spending more time engineering. When I first started in the industry, there really wasn’t separate recording and mixing engineers because the guy who recorded the album also mixed it. I think I gravitated towards being just a mix engineer around 15 years ago, but I would still produce and record for some people, such as Fleetwood Mac or Chris Isaak – because they are people I’ve worked with before. I don’t do as much recording now, unless it’s through my production company. I saw on your website (www.markneedham.com) that you’ve been in the industry for over 35 years with constant work. How do you maintain that level of success, for such a long period of time? With the production and development work, that’s been a big part over the last 10 years. Doing the development projects gives me the ability to pick the styles of music that I want to work on and try to come up with new sounds. The Killers (album) “Hot Fuss” is a perfect example of a development project that I worked on in the past. I find that by working on development projects, I don’t get locked into one style. I think that it’s really important to work on a diverse set of projects, so that you’re not ‘that guy’ that people think can only produce one sound. So you were credited for mixing Mr. Brightside by The Killers, which is the song that launched their career. Did you know that song was going to be that important when you mixed it or was it business as usual? That was a development project that I worked on with two partners of mine from San Francisco, CA. We worked with the band for about a year and we had close to the entire album recorded, and were trying to shop it around, but nobody really wanted it. Mr. Brightside was the first song we produced, and I mixed that on an 8 input console, with no automation, in about 35 minutes. That’s the mix that ended up on the record, even though I wanted to redo it. I knew the band was great and I was a big fan of them, but we got turned down by almost everybody in the industry in the US. So, we ended up signing the band in the UK and then came back to the US. I felt the music was really good, but it’s hard to know if it’s going to be one of those “…holy crap, this thing is going to sell a million records”. I was happy to see how successful it became, because they were an exceptional band and had universally appealing songs. When you say you mixed it in 35 minutes, was that because everything was recorded so well that you didn’t have to do anything but maybe balance? My partner (Jeff Saltzman) started recording it before I started to work on the project, and when I arrived, I started re-editing the song and made my basic rough mix. I’m fairly fast with mixing, and I feel as if I’m from the “Chris Lord-Alge school of mixing” – (which would mean) just make a decision and move on. I don’t ponder over what my kick or snare sound should be for a long time. I have a plan, I execute it and see where it takes me. Mr. Brightside was an incredibly quick mix, however it was just supposed to be a reference mix. I didn’t plan on it being the final version on the record, and I actually remixed it four times, but the band still liked the original. I must say, I like it too, it sounds great. When you say you don’t ponder over a kick or snare drum, does that mean that you have a vision for where you want the track to go, or do you think of ideas as you go along? A little bit of both actually. I start going through all the tracks and seeing what’s there in the tracks. Hopefully there’s also a rough mix so I can get an idea of what the song is supposed to be like. I generally come up with an approach in my head and start going towards that. Of course different things (can and do) happen along the way and hopefully some happy accidents happen where I end up thinking “Wow, that was cool!” It could be whatever my reaction is to the lyrics, or maybe I grab a specific reverb/delay that I feel is working with the mood of the song. If we can go back to The Killers “Mr. Brightside” again for a minute. I remember hearing it on the radio and there was one thing that really stood out to me at the time – the vocal effect. Was that something that was planned? [Laughs] There were three of us involved in the production company on that record: Braden Merrick, Jeff Saltzman and myself. Jeff and I had been partners for a few years. 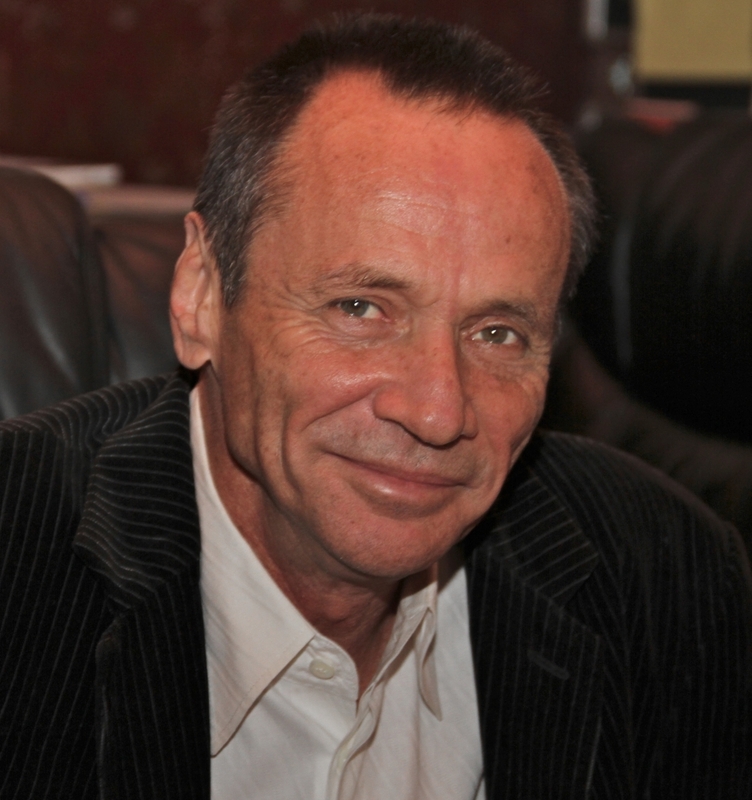 He was an entertainment attorney and was shopping stuff, but he actually really wanted to be a producer as well. We set Jeff up with a studio, got him started in recording and since he’s a smart guy, he picked it up really quick. At that time, Echo Farm had just come out, and that was really the only vocal effect he had. If you open up Echo Farm, the first setting that comes up is the default setting, which overdrives the vocal a bit and sets an 84 ms delay. That was basically what he put on everything [laughs] and it sort of became the default vocal tone on the whole record, plus it worked really great, so we kept it. It changes a little bit on certain things, but it was a fairly consistent effect through the whole record. On your website, there is quite an extensive list of digital and analog gear, so is it fair to say that you’re working with a hybrid set up at the moment, or do you tend to lean one way or the other? We removed the hybrid set up about a year and a half ago and went full digital, it’s all in the box at this point. I have a couple Dolby vocal processors that are still analog. I’m summing through an analog mixer, I have Dual Raven Consoles that I’m using and I have one of the new Avid F6 Fader sections, however everything is basically digital. Speaking of the Raven Console, what’s it like using it? Is it working better for your set up? Do you like the touch screen version of the faders, or do you still prefer the feel of analog style faders? I use a combination of both. I love the screens on the Raven; the ability to reach up, grab things and move tool bars around. It’s a great surface for me to work on and have my editing and my mix window really big. But I also have some real faders as well for when I’m doing vocal comps, because I don’t actually cut and paste vocals. I’ll work on ten vocals and then just comp using faders. For master fader rides, I like to be able to reach over and grab a fader. So yes, I like the combination of both. Was the transition from analog to digital difficult for you? I got rid of my SSL G series in 2003/04 and switched to an Icon. At that point, I was still using a lot of analog gear as well. As the plug-ins were made better, I thought I could just do the same thing with them, so I started using less and less gear. The plug-ins are so much easier to recall. The amount of mixes that I work on in a year, trying to recall them all in an analog world, would be impossible. Since you came from an analog background, do the plug-in emulations do what you need them to do when compared to their analog counterparts? Referring to the plug-ins, some of them are the same to me, and some of them are different, but it’s more about having the wealth of console EQ’s and compressors. I’m much happier in the digital world at this point in my career. I’ve worked on analog equipment, and I know what that sounds like, and I certainly don’t have a problem emulating that (sound) with the plug-ins that are available. Now that were in the digital age of “consoles”, what are your thoughts on essentially limitless track counts? Having, for example, 150 tracks or more doesn’t really bother me that much. Some of the Imagine Dragon’s music, with the vocal sessions, was probably 200-300 tracks. With those sessions, I actually went back and submixed some of the vocals, so I was staying under 180 tracks. If tracks are laid out well, then I really don’t mind high track counts. It’s nice to have verse guitars on one track and chorus guitars on another track. It can actually be very convenient to have a session with a higher track count. It can be difficult if it’s 80 tracks of keyboards and 70 tracks of guitars that are playing all the way through, that creates a lot of ‘decision making time’. Speaking of time, how long does it normally take you to mix a song? It depends on the song, but normally between two and a half to four hours, and I’ll have my first pass done. I do a lot of recalls because I like having the band listen to the stuff, at home, on the speakers they’re familiar with. I don’t see bands (in person in my studio) that often anymore because things are mostly done through the Internet these days (email, exchanging files, etc.). But sometimes it is nice to have a band physically in the studio to go through some changes quickly. I can also stream the output of the console (to a band at their location) and or do video conferencing with bands, so they can actually hear in real time what I’m doing. But overall it’s nice to be able to have the band listen at home to have a reference. With all the recalls, it may take closer to five hours to mix a song, but some can go incredibly fast – for example, a couple of hours. What’s your general approach to starting a mix? With a rock song, I start by bringing up the drums to get a general drum sound. Then I start working my way quickly through the whole session getting rough levels up. At that point, I can get a general representation of the song, and then I can go back and adjust things. I know some other people who mix will always start with the main guitar or the vocal, and build stuff around that, but for me it’s faster to go through all the instruments to get a general sound of what I’m looking for. I keep jumping back and forth. So is it fair to say that you have a balance and tweak approach? Yes, and I’m quickly moving through the tune several times in a row. When you’re mixing for your clients, do they trust your judgment and just let you mix, or do they give you rough mixes and ask that you stay within those parameters? I’ve gotten both from bands that I’ve worked with. I have bands that come to me and say “just do whatever you (want to) do on this”. Some bands will come in with references that they want their songs to sound like. I have three projects that I’m working on currently, and they’re giving me free reign to do whatever I want with the mix. I also have two other projects right now, where they’re much more structured and have very specific ideas of what they want. It really varies from project to project. Besides your ears, what do you feel is the most important thing that determines the outcome of your mixes? How much sleep I’ve had [Laughs]. I go through phases where I change out my gear and try to change my sound or how I’m approaching things. But to me, everything is so song dependent. The thing that affects the way I approach a song mostly is hearing the song or hearing the lyric content. Every song is also an art piece, so you have to listen to it to see how it makes you feel, and try and enhance that feeling. I feel the most important thing, besides my ears, is how something makes me feel. What about your listening/monitoring levels? Today, I listen at moderate levels and I work really soft. When I first started in this business, I was notorious for having the loudest control room on the street [Laughs]. It’s so hard to get your bass accurate at high levels because the louder something gets the more apparent bass it has. So, monitoring at high levels is an easy way to burn your ears out, and also have bass heavy mixes. As far as automation, how much of it are you using in the mix? Any tips you can share? It depends a lot on the song and the production, but I’ll cut up tracks most of the time. If I’m given one vocal track that plays from the beginning to the end, I’ll cut that track up into verse vocals, pre chorus vocals, chorus vocals and bridge vocals, so I can change all their effects, levels and tonal quality, without having to do automation moves. My goal is usually to get a mix set up so that it plays through with little or no automation. However, some mixes have automation all over the place. The most typical automation move I perform on every mix is a master fader ride. For example, when I want the chorus to ‘blow up’ a little more, I’ll pull the verse down a dB and when the song gets to the chorus, I’ll have it jump back up to 0dB. If the chorus gets louder, it sounds bigger. Do you use anything on your mix buss? Are you mixing through it? I have a stereo buss chain that’s all in the box. I have two different compressors, a mastering EQ and sometimes, I’ll have a stereo expander on there. So yes, I probably have a lot of different things across my stereo buss chain [laughs]. Can you share which plug-ins you are referring to? I would say that I’m always using the UAD master EQ, the UAD Precision Compressor and the Shadow Hills Mastering compressor. I have a pretty consistent stereo buss chain and I’m probably doing more or less with those plug-ins I mentioned. I might not be using all of them at times, but they’ll be on there. Do you ever incorporate a limiter to hear it at 0dB or do you wait until the mix is finished? I have two Lavry Gold’s, one that’s running at 0dB and one that’s running at +6dB and they have a built in digital limiter for the purpose of mastering a song. I have two inputs on my console so I can listen to it a 0 dB or an elevated level, and I can go back and forth. The mix that I give to the band is basically what I want the song to sound like when it’s mastered or as close as possible to that. You do a lot of rock music, so do you have any techniques to get those electric guitars to cut but also sound big and fat? 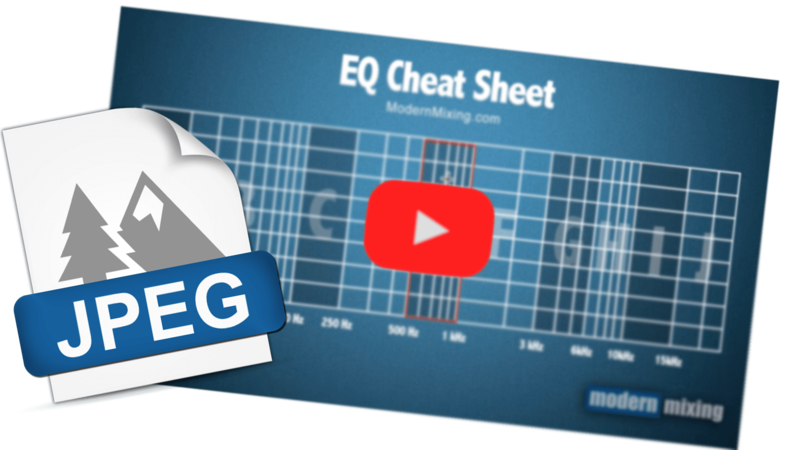 I use a combination of 2 EQ’s – an SSL G and a Neve 1073. I usually try to pick up that aggressive top end with the SSL G and I’m using the 1073 to get a little more ‘warmth’ in the mid range. I’ve been using that UAD Maag EQ a lot to add a little bit of sub, so I’m not getting that thin, super buzzy top end. I like to use the combination of the different digital console EQ’s, but previously when I was working on consoles I didn’t have that luxury [Laughs]. I might have had an outboard rack with 12 1081’s or something however, I had a session earlier this week, where I had 60 guitar tracks, so it’s nice to be able to dump those across every guitar. Do you use any in-the-box distortion or saturation? Yeah, I’m doing that all the time with the SPL and their harmonic generator. The new Waves plugin, the Scheps 73, has an accurate sounding harmonic distortion when you overdrive it a little bit. I was actually using that this past week all over a couple sessions I was doing for a band from the UK. The decapitator’s also always great for that type of work. So yes, I certainly use distortion as a tool, because sometimes it can really help to get something to cut through a mix that you’re otherwise having trouble hearing. Can you try and explain how you use compression and your thought process while you are using it? Everything is so song dependent, but if I’m doing a rock vocal, typically I’m going to do an 1176 with an attack of 5 ms and a super fast release to keep it aggressive. But I might have it go from a La2a in the verses to an 1176 (with a ratio of 4:1, a fast release and hit super hard) for the chorus section. I use compressors a lot of different ways, such as, to control the bottom end of a kick drum, for example. I tell all my assistants to try putting a compressor on a vocal and then run through everything, so they know what it does. Put it in ALL mode, 8:1, 4:1, try different attacks, put it on a vocal, a kick drum, a guitar, a bass and find out what it isn’t good on and what it sounds great on. 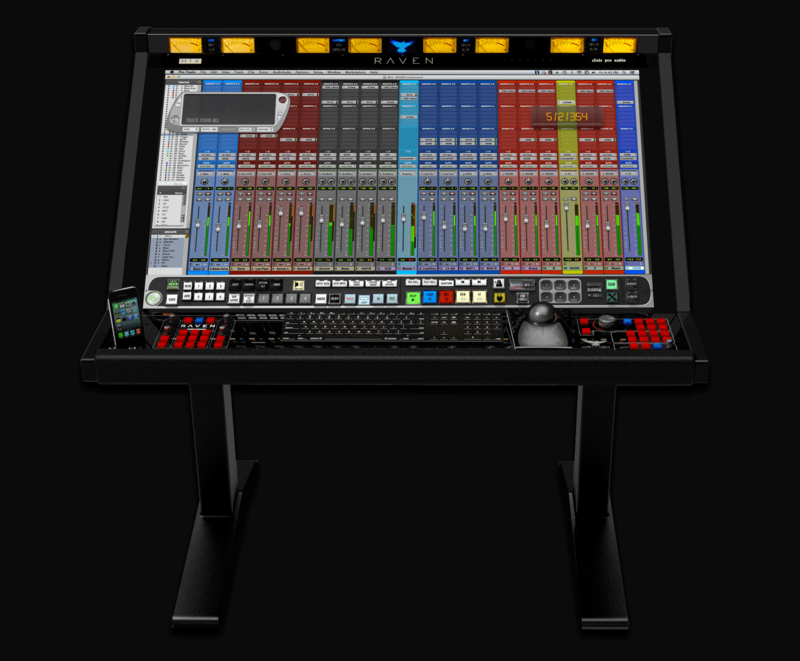 Most of the plug-ins are emulations of things that I’ve worked with for over 44 years, so I have a general idea of what they’ll do. What about sample replacement? What are your thoughts on that? I use sample replacement sometimes to add something that would take me a long time to do with EQ. 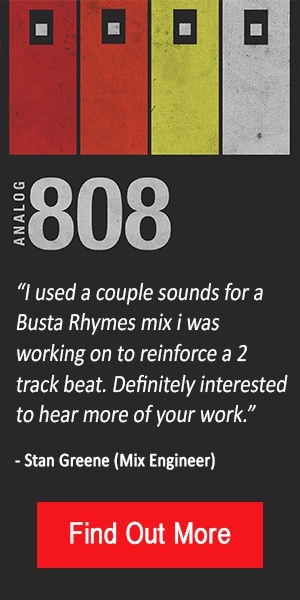 I was using sample replacement back when I was still utilizing 24-track analog. It’s another tool, and I’ve used it a lot. I see other professionals using it wrong, where they’ll have 7 kick drums and they keep adding more, trying to figure out why they don’t have bottom end. The reason why there isn’t any bottom end is because all the samples are out of phase with one another. I think it’s a great tool, but it’s something that has to be used correctly. I don’t like to totally replace kicks and snare sounds on live drums because it screws up the timing and the dynamics. Also, there’s nothing that will really follow, accurately, a drummer’s snare roll. You also have to be really cognitive of the phase when you’re adding all these different drum samples. Pull up the Waveform and make sure all the kick drums are going up at the same time [Laughs]. In regards to mixing live bass, what’s your approach to mixing the DI and the amp track? I listen to the two, and make sure there isn’t any phase problems, which is quite often when I get an amp and a DI. If I get a session in with three different amp mics and a DI, but the phase relationship on the 3 amps is off, then all of a sudden your bass goes from sounding great, to not sounding great at all. If I have a good DI and a horrible amp, I’ll take the DI and just copy that track two or three times and use that Ampeg SVG plug-in. One will be running a subby clean tone, and one that’s running a more over driven tone. Sometimes I’ll split the amp track and overdrive the brighter one into a Pultec Pro from UAD. I’m usually using a combination of a couple compressors such as the SSL G compressor a little bit, and then I’m also using a Fatso. I try to use both of those compressors to try and control the bottom end. That’s generally my process on the bass; it’s usually the hardest thing to get right so it’s clear and fat without your mix turning into a sub mess [Laughs]. Let’s say you could only use 5 plug-ins or pieces of gear, what would they be? I would probably choose all the UAD stuff. I’d have the UAD SSL, the Neve, the early silver faced 1176, I’d probably have an Echoboy and maybe one reverb, such as the TL Space. That would give me five. If I had just an SSL G plug-in, an Echoboy and an 1176 compressor, I could probably mix a song, and it wouldn’t be very different than what I’m doing now. It just might take me a little longer to mix. But every two or three years, I like to completely change my approach. Take out all the plug-ins I’m using and figure out a new way to do things, just so I don’t get stuck in a ‘rut’. Is it also boredom? Like you want to try new things? Yes. I mean I just got that new Maag EQ from UAD, about 2 or 3 weeks ago, and it’s been all over my mixes [Laughs]. What’s your favourite ITB EQ? And your favorite ITB Compressor? The CLA compressor I like a lot on vocals, and I use a lot of the UAD stuff. It’s hard for me to pinpoint because I probably own every plug-in available. But as a general rule, most of the UAD products I’m just a huge fan of, and it’s all over my mixes. Would you say that the UAD emulations are the most accurate you’ve heard? Are there any techniques that you learned or discovered where you feel they helped change your mixes over night? I didn’t have a ‘mentor’ and I was never an assistant engineer. I started my own studio and I didn’t come up through the ‘studio process’ of becoming a runner and then an assistant. I tried to cheat and get right to the front of the line [Laughs]. So I created a lot of my processes on my own, and some of them might be conceived as backwards. I certainly have those ‘aha’ moments and I’ll come up with sounds that I continue to use later or that moment affects what I do. The guitar sound on Wicked Game is a great example of one of my ‘aha’ moments, where I thought, “Wow, this sounds really cool.” I usually get those aha moments more when I get a new piece of gear. When I bought the Lavry Gold’s, they made a huge difference for me when working in the digital world. Looking back on your career, is there any advice you’d give to somebody starting out that you wish you knew back then? One thing I do is take a lot of ‘ear breaks’, and I also switch back and forth between songs a lot. One thing that happens if you’re listening to the same song over and over for hours is, what you’re hearing may be wrong even though it sounds right. For me, I have the luxury of working on 20 songs at once so I can drop back and forth and sometimes I listen again and think “Oh my God, what was I thinking of?” So yes, taking ear breaks and keeping your ears fresh throughout the day is something I would recommend to anyone. I have to do that to keep a perspective on things. That’s a pretty important tip for anyone starting to mix and use references. Great, thanks for being so generous with your time and for participating in this interview.